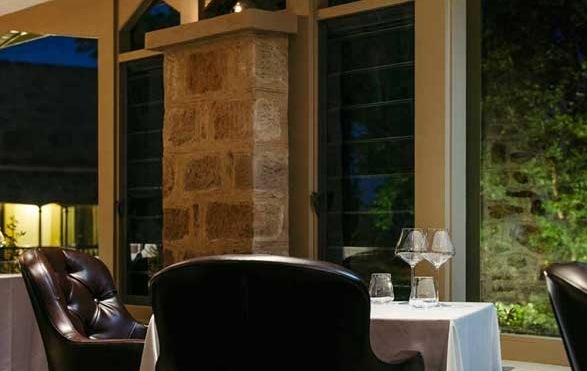 Hardy’s Verandah Restaurant is the elegant fine dining restaurant at Mt Lofty House Venue. The restaurant effortlessly matches old world sophistication with local, seasonal fare, offering an experience that is a gastronomic delight, headed by 3 chef hat Jin Choi. Many of the dishes feature ingredients that are grown and foraged on the property ensuring that meals are always deliciously fresh, naturally organic and faithful to the area. With the rolling Adelaide Hills providing the perfect backdrop, and a stylish restaurant setting with indoor and outdoor seating; a dining experience at Hardy’s is not to be missed. The award-winning wine list features a good selection of Rieslings and has been expertly crafted lead by a selection of the finest South Australian wines, as well as wines from the rest of Australia, and excellent wines from around the world. Award-winning sommeliers provide wine matching services to help select a wine that will perfectly complement the dining experience. As the food focuses on local and seasonal ingredients, the wines are chosen to reflect the flavours of the local region as well as offering international, excellent wines. Hardy’s Verandah Restaurant is enjoying the fruits of its labour with recognition flowing in the form of numerous awards and accolades in 2017 and 2018. In 2018, the restaurant was the recipient of the Reader’s Choice Award as part of the Australian Good Food Guide, proving that the excellent reviews from customers are well-founded. In 2017, Hardy’s received recognition for their excellent food and service with awards from Gourmet Traveller where they were rated 2nd in South Australia, as well as the Best South Australian Restaurant by the Australian Hotels Association. They were nominated as Finalists for the Best Conference Facilities and National Restaurant of the Year. Also in 2017, they were Finalists for the South Australian New Restaurant Award by the Restaurant and Catering Awards, selected as Finalists for Best New Restaurant by Gault and Millau National Restaurant Awards, and, at the HM awards, were finalists for Best Restaurant. The much-talked-about Harvey’s Wine List was the well-deserved recipient of the Best Listing of South Australian Wines in Australia in 2017 at the Australia Wine List of the Year Awards, and Gourmet Traveller listed as them as finalists for the best National Wine List and Best Sommelier. Recognition for Harvey’s Verandah Restaurant is well-deserved and the range of awards - from Best New Restaurant to recognition for their excellent wine selection - reflects the perfectly balanced, exquisitely executed style of this stunning restaurant at the Mt Lofty House Venue.